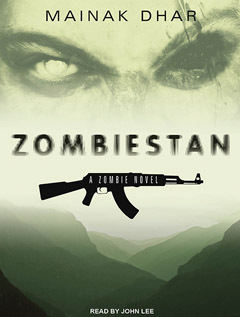 Zombiestan is a bildungsroman that takes place in the zombiefied country of India in a post-911 world. Mayukh was a seventeen-year old gamer without much responsibility and few concerns when, far away in Afghanistan, bio-hazmat materials that were being delivered to the Taliban were ignited by drone-delivered bombs. The chemical reaction created an infectious compound that found its first victims and carriers with the Taliban members who followed up at the site to see if there was anything to recover. Moving on from the site, these would-be terrorists ended up spreading the contagion as they boarded planes. The rate of the infection spread exponentially and manifested itself in necrotizing humans, rendering them virtually invincible and, transmitting Taliban sympathies into the memories of the newly dead. As the contagion swept into India and black-turbaned Taliban zombies posed an increasing threat to societal structures and personal safety, Mayukh was goaded into action. In a trek towards safety, Mayukh gets a hyper-accelerated lesson in growing up. Mayukh is not alone as he makes his journey: There is a U.S. Navy SEAL, an older woman with a dual identity as a professor and a romance novelist, a teen-aged girl and, the girl’s little brother who may hold the secret to an antidote. All the characters in Zombiestan have an arc of development as each rises to the occasion of the crises they find themselves in. While the temptation always lurks to take the easy way out, this cast of characters, individually and together, clings to their of sense of what is right. One of the great things about Zombiestan is that, unlike many zombie-apocalyptic novels, this one keeps hope alive in the story: There are survivors; There are people who help; There is the idea of a future. The story faces forward even while conditions worsen. Zombiestan is a fun novel, full of action and a unique take on zombies. The writing is a bit rough, with a number of repetitive descriptions and cliches; but the plot never stalls and scenes are strongly depicted. Mainuk Dhar may have taken the concept of zombies a bit far afield in depicting them with rapidly evolving sentience, organizational and strategic skills and an ability to learn and adapt; on the other hand, Dhar’s terrorist zombies make an obvious political statement if you want to go there. I received a MP3-CD edition of Zombiestan (by Mainak Dhar; narrated by John Lee) under reviewer auspices from Tantor Audio. I receive no monies, goods or services in exchange for reviewing the product and/or mentioning any of the persons or companies that are or may be implied in this post. Ⓟ 2011, Blackstone Audio, Inc.
Michael, Angel and Saul are three soldiers in present day Northern California ordered to report for duty: to restore order to their beleaguered city which is ravaged by “zombies.” The infected are necrotic bodies that can only be truly taken down by fire or beheading and, the transmutation of the corporeal states is triggered via a bite from one of the infected. We’re Alive: A Story of Survival, The First Season is a collection of twelve podcasts that details the story of Michael, Angel and Saul as they make their way through the new landscape where the infrastructure is crumbling and other survivors are recovered. The survivors hold a position in an abandoned apartment building, referred to amongst themselves as “The Tower.” Here, the military triumvirate fight to provide food, clothing and shelter as well as security against the zombies and “Mallers.” The Mallers are the convicts from a local prison who have holed up at a local mall and who pose a threat with their unchecked violence and ambitions to seize the Tower. The Tower residents and the Mallers are the antithesis of the other, representing civilization and anarchy respectively. The production quality of We’re Alive: A Story of Survival, The First Season is very much in the tradition of foley inspired radio drama. Sue Zizza of Sue Media Productions, once coined the phrase “testosterone grade sound effects” when describing the heavy usage of sound effects like guns, squealing tires, etc. in an audio drama and, in the case of We’re Alive: A Story of Survival, The First Season, the description is apt. This is not to say that the “testosterone grade sound effects” aren’t appropriate; only that subtlety is not in play. The sound effects take an almost equal place in the sound track as the characters’ lines, as opposed to underscoring or used in service to the action or dialogue. There is plenty of action, adventure, and “testosterone grade sound effects” to galvanize the listener to the story: There are no guarantees as to who will survive and what will happen next and the unexpected twists in We’re Alive: A Story of Survival, The First Season will keep you on the hook for Season Two. 05/24/2012 – Correction: Strikethrough of the word “Northern” in the first line. Bell, CA is a town in Southern California. I borrowed a LIbrary CD edition of We’re Alive: A Story of Survival – The First Season (created by Shane Salk and Kc Wayland; written by Kc Wayland; performed by a full cast) from Blackstone Audio, Inc. I had no involvement in the production of We’re Alive: A Story of Survival – The First Season (created by Shane Salk and Kc Wayland; written by Kc Wayland; performed by a full cast.) I receive no monies, goods or services in exchange for reviewing the product and/or mentioning any of the persons or companies that are or may be implied in this post. 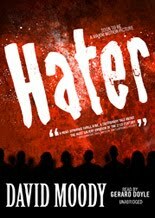 Hater is the first in the Hater Trilogy and originally an online novel that the filmmaker Guillermo del Toro sponsored into print (and purchased the film rights to.) It’s a horror novel about outbreaks of unprovoked violence that have reached pandemic levels. The aggressors have been labeled as “Haters” by the media and the government has warned all unaffected people to bunker down. Danny McCoyne, a frustrated worker at a Parking Fine Processing office, henpecked husband, and exasperated father, bears witness to the early stages of the outbreak; and when it becomes clear that the social fabric of his town has been rent, he secures his family in their home. The sections where Danny is locked in, cut off from media interpretation of events and not knowing what is going on, are reminiscent of I am Legend (by Richard Matheson) in that we see the protagonist undergo the psychological change of the besieged; but the main interest and appeal of the story lies within the chapters in which there is a fundamental change in perspective. This is where moral certainty disappears and the reader/listener wonders who the true villains of the piece are. Unfortunately, the ending of the novel is poorly executed in terms settling up on the score of moral equivocation (Is a preemptive strike morally correct? ); and unsatisfactory in terms of a denouement. The latter may be to entice readers onto the next installment in the series, Dog Blood; but by the end of Hater, it is doubtful whether the listener could care as to what happens next to either Danny or anyone else. Gerard Doyle is the Irish narrator of Hater. The setting of the story is never specified, but it can be inferred that Hater takes place somewhere in the UK and an Irish setting is as good as any for the story. GD does a great job of narrating the role of the beleaguered, whiny, spineless Danny and taking us through the changes in Danny’s life as he becomes more assertive. The pacing of the narrative matches the character’s development: Doyle starts off with a lazy, slow pace; but quickens as the tension and action mount. Many, many years ago, a friend in college, for whom this was his favorite book, lent me his copy. I read it and was moved to tears by the monster’s plight and could not help but feel that my friend identified with the monster. By extension, I felt that I understood my friend better. I returned the book; but always meant to come back to it. Flash forward many, many years later and I’ve settled down to re-read this Classic. I was absolutely bemused that I did not recognize the story at all! Not only was the story coming across as completely new-to-me, I had no sympathy for the monster whatsoever! I have to admit I didn’t like the novel as much this time around, but that may be my inner existentialist reacting against the moral equivocation about responsibility for one’s own actions. I’ve come back to Frankenstein again in hopes of rediscovering what its was that appealed to me the first time I experienced it. Frankenstein is a book that definitely bears rereading. There are multiple layers and approaches to take to the story: literally, emotionally, philosophically and metaphorically. On the basic linear narrative level, it is the story of Victor Frankenstein, a young ambitious man who leaves home and pursues his studies in Ingolstadt, Germany. His interests lie in the life sciences and his passion leads him to the secret of reanimating dead flesh into a living, sentient being. Mary Shelley, pulls the reader into the sympathies of both Frankenstein and his unnamed creature by creating pathos- and angst-ridden first person narratives into the story for both characters. Philosophically, there’s plenty of material to vet: theism, existentialism, free will, fate vs destiny, Nature vs Nurture… The author makes several allusions to Milton’s Paradise Lost; but comparisons to Dante’s Inferno from The Divine Comedy are equally obvious and relevant. 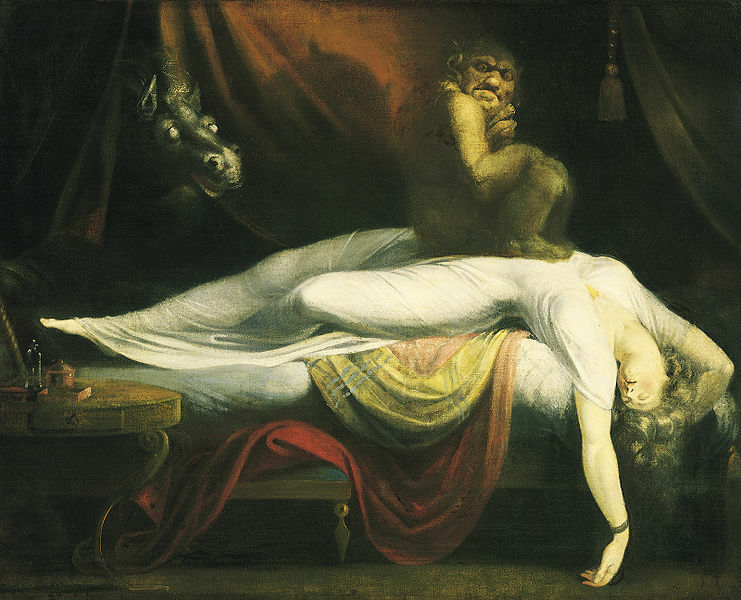 Milton’s and Dante’s works deal with the fall from divine grace and the soul’s state of disgrace and, like Milton’s and Dante’s works, the listener cannot help but wonder if the story of Frankenstein is also a reflection of an interior journey. Other Stuff: I do not recall what edition or publisher produced the copy that my friend lent me. I only recall that it was a mass market paperback with a black cover and a small rectangular picture inset on the front. I want to say it was a Signet Classic; but I’m not sure. I purchased a Barnes & Noble Classics edition copy from the Barnes & Noble store in Medford, OR in 2009. 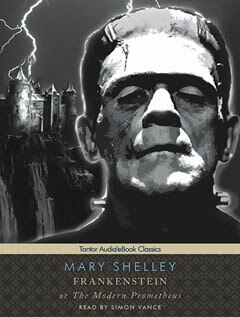 I dnloaded a copy of Frankenstein (narrated by Simon Vance) from the Audiobook Community’s SYNC YA program in 2010. Norman Bates and his mother run the Bates Motel, located off of the old highway; Mary, a young woman on the run, makes a wrong turn and decides to check in at the motel for the night and; Sam and Lila, Mary’s fiancé and sister respectively, wonder where Mary is… Against the backdrop of a stormy night at the ill-frequented motel in California, the drama of Psycho begins to unfold. More than a horror classic with the Hollywood image of blood swirling down a drain accompanied by a piercing sound effect, the novel is an exposition of the psychological motivations of the characters that determine their actions. It would be enough to tell the story with just action sequences, but Bloch takes advantage of the written medium to explore the psyches of his characters and, puts forward the idea that that everyone has a breaking point at which we are all capable of insane acts. There is a certain awkwardness to the original story, a dated feel beyond the fact that there are no computers or cell phones. There are cultural assumptions that need to be made, such as: In the 1950’s, motel clerks care where you’re going if you’re not in your room Beyond that though, even the psychology used is outmoded. There have been enormous strides in psychology and medicine that have taken place in the last fifty years or so, which makes the interior voices of Psycho seem rather quaint by today’s standards. However, the overall idea posited that the potential energy of insanity within each of us exists and can be triggered, remains valid and interesting. 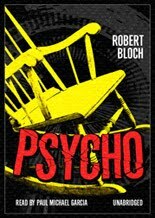 Other Stuff: I borrowed a library CD edition of Psycho from Blackstone Audio, Inc. 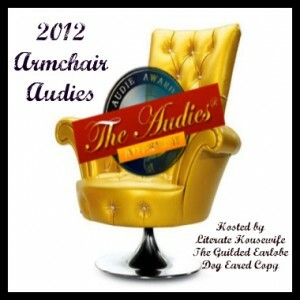 This book qualifies for the Where Are You Reading? 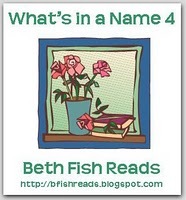 Challenge hosted by Sheila at her blog, Book Journey. Psycho takes place in Lakeview, California. The eponymous protagonist of Carrie is a teenage girl with some serious issues regarding her relationship with her mother and, bullying at school (LOL, How’s that for understatement!) Carrie’s mother is a religious zealot of the most extreme and fundamental kind: mentally debilitated and only able to find recourse in biblical literalism. This creates an isolated home culture in which Carrie is reared, untutored in the norms of societal living and, much less in the nuances of personal relationships. Sheltered and ignorant, Carrie is left at the mercy of her classmates and; throughout the years, she is subjected to peer cruelty and ostracism. The situation comes to a head when Carrie officially becomes a woman, unfortunately while she is showering at the high school gym. The incident sparks an ugly reaction of taunting and assault by her classmates and, Carrie starts to stress out. The home front provides no answers or succor to her problems, indeed the strain on Carrie increases as her mother inflates the religious fervor to insane dimensions. How Carrie deals with this situation, using her latent power, is the stuff of Stephen King’s horror classic. Sissy Spacek, who starred in the 1976 movie which was based on the novel, narrated the audiobook. Owing to her familiarity with the character, a now iconic figure in the horror film genre, she is an obvious choice to read the book; however, there are some issues that, while they could be transcended in the film, could not be overlooked in the audio production. Ms Spacek slides some words around lazily in her mouth so that a word like “menstruation” becomes”menstration.” This brings to the listener’s attention that we have more of the coal miners daughter than we do a New England native from Down East. There is also a minor production issue of booth noise, specifically page turns and shuffling which distracts from the story. Overall though, Sissy Spacek tells the story well and that is no small mean feat. Other Stuff: I borrowed a library Cd edition of Carrie from the Jackson County Library System in Southern Oregon. This book also qualifies for the Where Are You Reading? 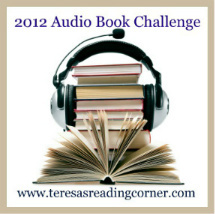 Challenge hosted by Sheila at her blog, Book Journey. Carrie takes place in Chamberlain, Maine.